Oklahoma City, OK. Great Range Capital (GRC) announces that Dan Bales has joined its Market Ambassador Program (MAP). Mr. Bales plays an active role in building GRC’s presence throughout the greater Oklahoma City marketplace will help identify acquisition opportunities for the firm. GRC developed its unique Market Ambassador Program (MAP) to increase its visibility in the Heartland, ramp up acquisition activity and expand its growing portfolio. Semi-retired, distinguished, Midwest-region executives are invited to join the MAP and represent GRC in their communities and networks. MAP executives, like Mr. Bales, have planted their roots and built their careers in cities throughout the Midwest. They are highly-esteemed for their expertise and career accomplishments. Over his 45 year career, Mr. Bales generated over $400 million in successful debt & equity placements and developed funding strategies for mergers and acquisitions in both banking and non-banking sectors. Mr. Bales was the division head of Private Banking and Wealth Management for Boatmen’s Bank ($40 billion Regional Bank based in St. Louis), and he was the co-founder and CEO of Oklahoma City community bank, Alliance Bank (sold in 1985). Mr. Bales also served as the senior credit officer for two Oklahoma City community banks. Mr. Bales joined the GiANT Family of Companies in 2008, co-founding GiANT Capital with Matthew Myers. 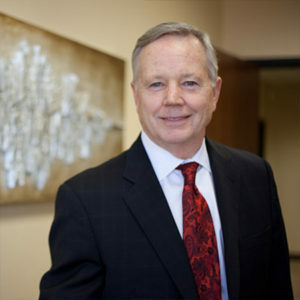 As co-founder of GiANT Capital, Dan worked with business stakeholders to create strategies and financial solutions for a variety of companies in Oklahoma and throughout the Southwest U. S. Mr. Bales sold his ownership in the GiANT Companies in 2015 and subsequently founded Kelly Avenue Advisors (OKC), which provides strategic financial consulting and transition advisory services to small and medium size companies.